Cashew prices continue to drop!! Cashew prices are sitting much lower than they were at the same time last year. Cashew prices are low at present, according to the Vi?t Nam Cashew Association (Vinacas). Over recemt days, the price of fresh cashew nuts has stood at just VN?28,000-30,000 per kilo at farms in Bình Ph? ?c Province and VN?30,000-32,000 for nuts delivered to factories. The price of dried cashews was about VN?36,000 per kilo. In the same period last year, the price was VN?40,000-42,000 per kilo for fresh cashews and VN?50,000 per kilo for dried cashews. 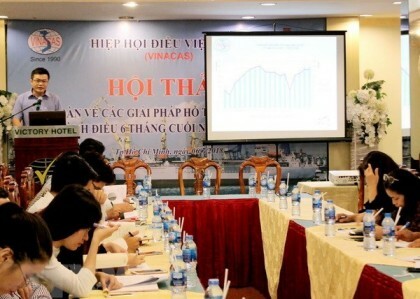 According to traders, the prices are still going down and there is no sign of an imminent recovery, reported congthuong.vn. Tr?n H?u H?u from Vinacas said prices have increased slightly from the record low in late February of VN?20,000-24,000 per kilo for fresh cashews because processing facilities temporarily stopped producing cashews during the T?t holidays. 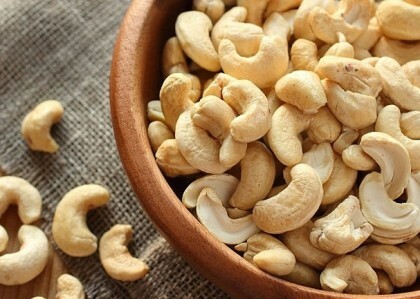 Nguy?n V?n Tu?n, the owner of a cashew farm in Bà R?a-V?ng Tàu Province, said the price of cashews in his province is higher than in other areas due to their better quality and convenient location. However, the price of fresh cashews at the farm dropped to VN?29,500 per kilo from VN?32,000-33,000 at the beginning of last week. Now that it is the harvest season, many farmers are worried they will face pressure from traders to reduce prices even further, he said. According to the association, domestic cashew output is only about 400,000 tonnes while the annual demand of domestic enterprises is about 1.5 million tonnes. The cashew processing industry has depended on imported materials to meet demand. H? Ng?c C?m, director of Ph? 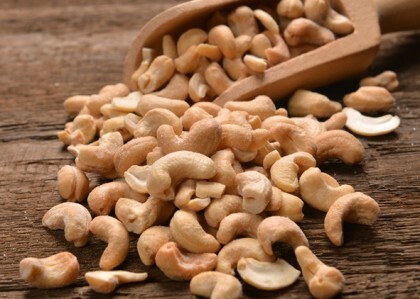 ?ng Minh Agro-Forestry Product Import and Export Co., Ltd, said enterprises have imported a small volume of raw cashews while prices of domestic cashews have dropped dramatically. If factories import large quantities, the price is expected to reduce further on the domestic market, C?m said. According to C?m, raw cashew prices in Africa are currently about US$1,300-1,400 per tonne, $600-700 lower than the same period last year. Global price reductions are due to oversupply, with many cashew-producing countries in the middle of their harvest seasons including Vi?t Nam, Ivory Coast, Nigeria, Benin, Mozambique and Ghana, according to the Ministry of Industry and Trade’s Export Import Department. The average export price of Vietnamese cashews in the first two months of the year was $8,197 per tonne, 20.1 per cent lower than the same period last year, according to the General Department of Customs. Vi?t Nam exported 47,700 tonnes of cashews in the first two months of this year, earning $390.9 million. Exports increased by 4.2 per cent in volume but reduced by 16.7 per cent in value year on year.